The portable and accessible anywhere, anytime solution is even more powerful with the addition of live attendance tracking. 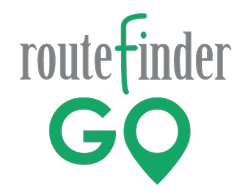 With Routefinder GO, you can now: Take Real-Time Attendance; Substitute Vehicles, Drivers Or Bus Aides On-Demand; Update Trips Based On Actual Attendance And Time; and Accommodate Calendar-Based Schedules. With Viewfinder you can view Planned Trips, Planned Trips Summary, Summary and Planned Trips vs. Actual data as it relates to your Attendance in real-time. 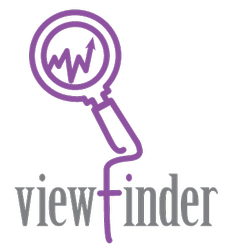 Plus, Viewfinder integrates with Infofinder mobile. View ridership, stop location and stop details in real-time. CI Solutions provides bus pass printing and RFID enrollment systems that integrate with your routing and student ridership tracking programs. Choose from RFID and non-RFID printing solutions that make bus pass and student ID issuance simple. With CI Solutions it’s easy to distribute thousands of cards during your busy registration period. The SMART tag system is designed to ensure authorized ridership and help enhance the safety of students who utilize bus transportation. The SMART tag system utilizes RFID technology and cloud-connected tablet computers, allowing for real-time and accurate information in a secure and affordable way. Synovia’s Student Ridership solutions allow you to track when and where each student boards and exits their bus. Search by school or itinerary to see a complete view of your district, or drill down for more detailed reports and compare your planned and actual capacity. Drivers won’t lose time, because it’s easy for students to check-in and out, and for fleet managers, they can ensure the right students are riding to the right stops. Zonar’s Z Pass improves the safety and efficiency of pupil transportation with a patented RFID data collection process that provides instant ridership information to decision makers. With Z Pass, schools know the time, date and location of each entry and exit from the bus for real-time child search, child check and Medicaid reporting.